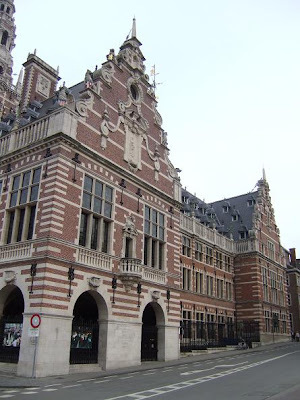 The University Library in Leuven was designed by the American architect Whitney Warren in Flemish neo-renaissance style. 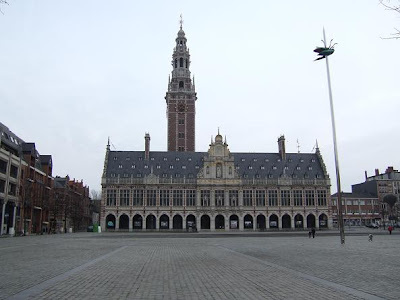 It was built from 1921 to 1928 after the library that stood here was destroyed in the First World War. 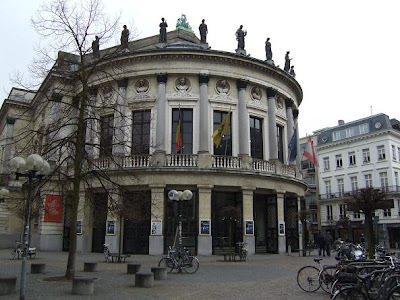 In 1940 when the city was occupied once more the library was destroyed again. 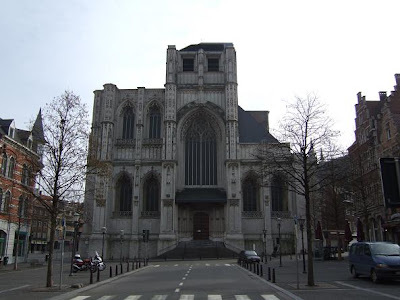 After the war is was restored and the interior modified. 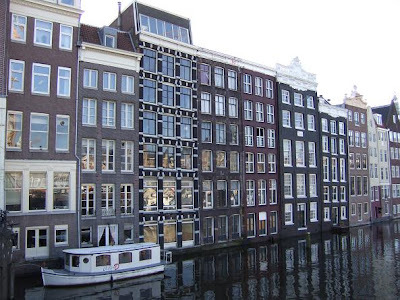 It now houses more than a million books. You can find the library on the Mgr. 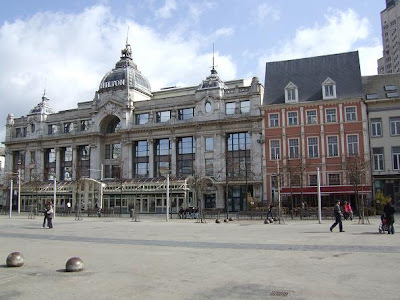 Ladeuze Square. 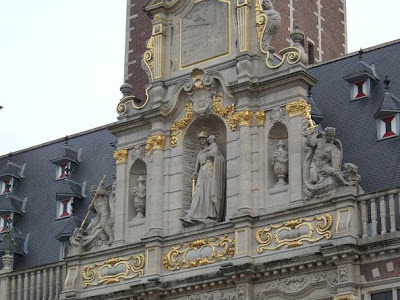 The sculpture you see on the first photo in front of the library is made by Jan Fabre. 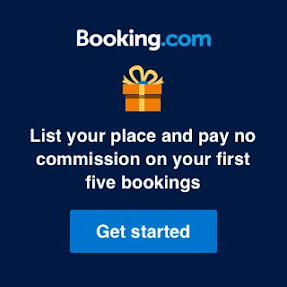 It is called the "Totem". It consists of huge bug stuck on a 23 m high steel needle. 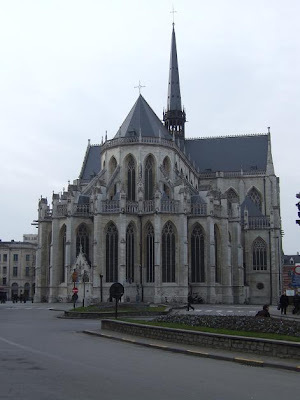 The St. Peter's Church in Leuven is situated on the main market square opposite the Town Hall. 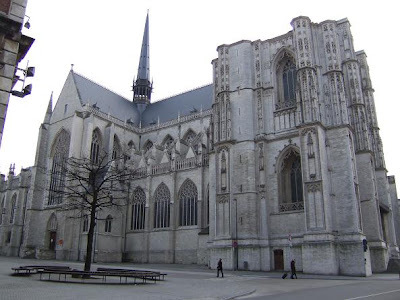 The construction of the church started in 1425 and was end in 1497, except for three towers. 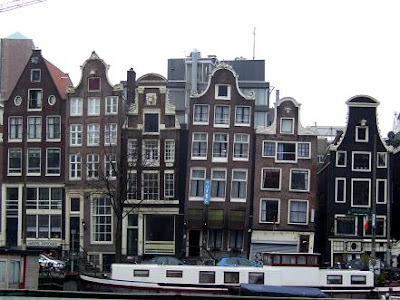 Construction of the towers was stopped in 1541 because the foundations were considered too weak to support any taller structures. 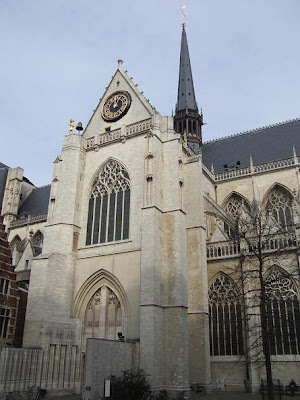 Inside the church is the treasury of St. Peter with two masterpieces of the Flemish painter Dirk Bouts on display. 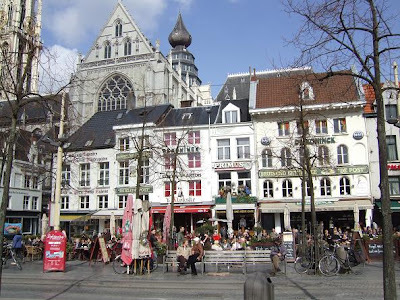 Antwerp is located in the Flemish region of Belgium, on the right bank of the river Scheldt. 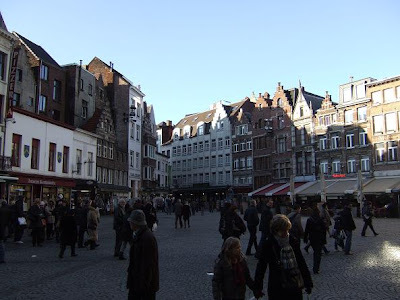 It is the capital of the province of Antwerp and is best known for its port. 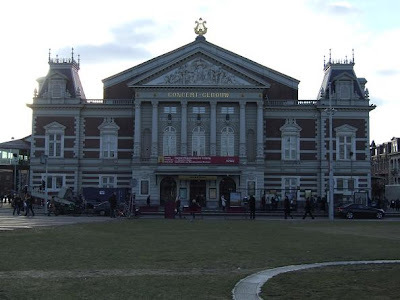 The City Library on the Hendrik Conscience Square, opposite the Carolus Borromeus Church. 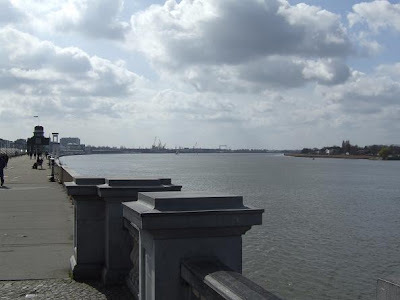 The quays along the Scheldt river in the old port. Handschoenmarkt in front of the Cathedral of Our lady. 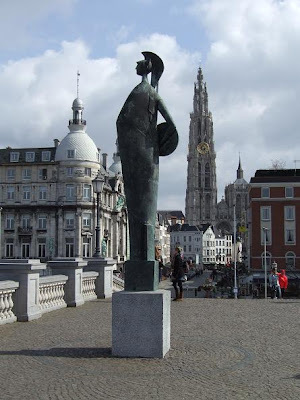 Minerva statue near the Scheldt. 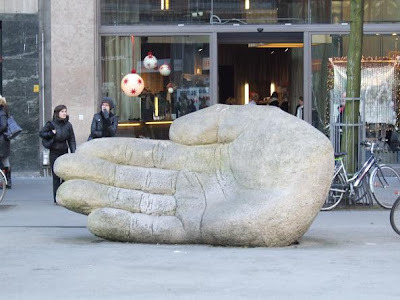 Statue of a hand on the Meir. 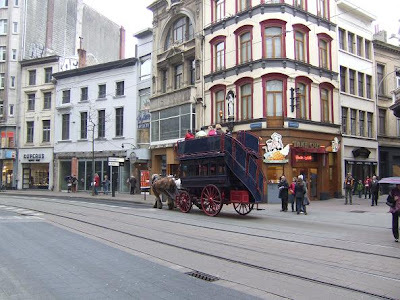 The Groenplaats(Green Place) is one of the most popular squares in Antwerp. 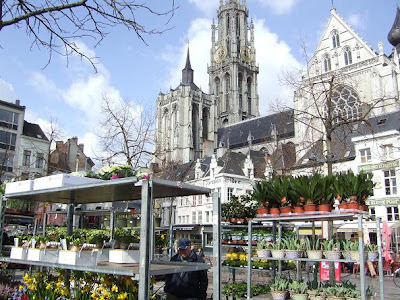 It is situated next to the Cathedral of Our Lady and close to Main Market Square. From the 13th to the 18th century this place was used as the central cemetery. 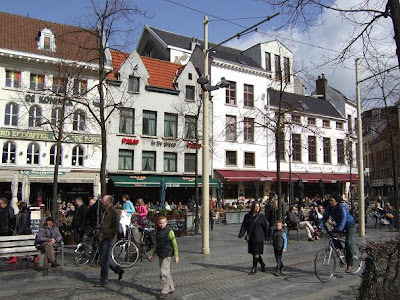 These days the Groenplaats is a place where people come to have a drink on warm days on one of the terraces. 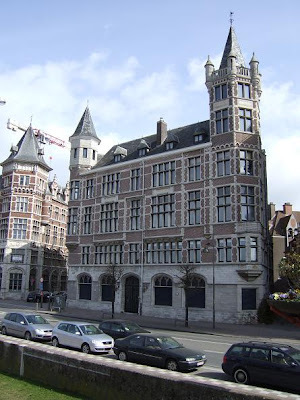 The most beautiful building on the square is the Hilton Hotel. This was the Grand Bazar department store in the 19 century. 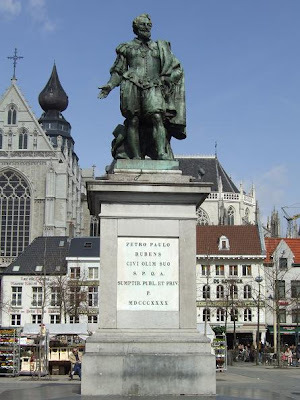 The statue on the last photo is of Peter Paul Rubens, a famous Flemisch painter that lived in Antwerp. 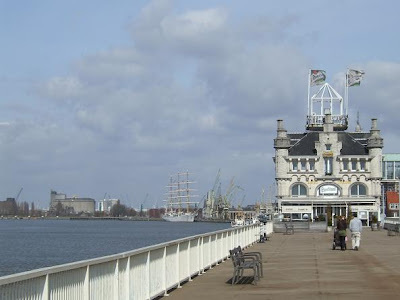 A good idea for spending a nice time in Antwerp is having a walk along the Scheldt river in Antwerp and enjoy the views. 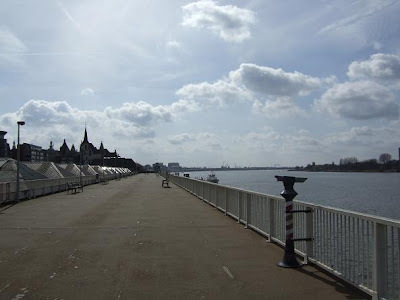 You can also take the pedestrian tunnel under the river to the left bank and have a beautiful view of the Antwerp skyline. 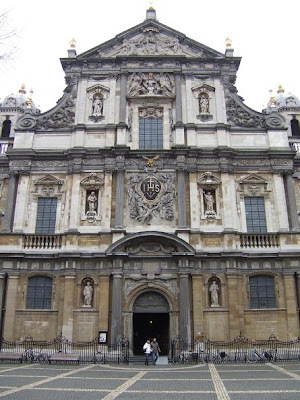 The St. Carolus Borromeus Church in Antwerp was built by the Jesuits between 1615 and 1621 in Baroque style. 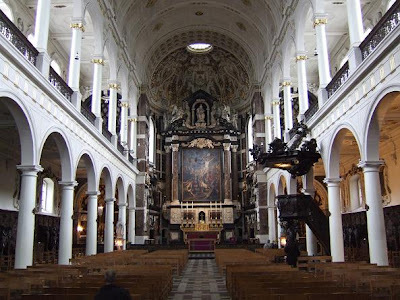 Peter Paul Rubens produced some paintings for the church and also contributed to the façade, the tower, and much of the interior. 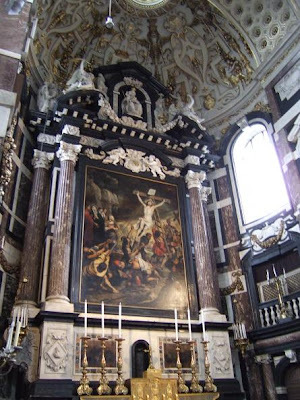 The painting above the altar that you see on the last photo has an mechanism which makes it possible to change the painting. 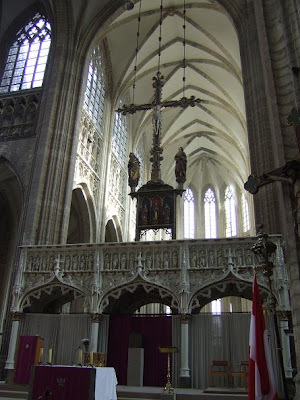 Depending on the period the most appropriate of the 4 altar paintings is on display. 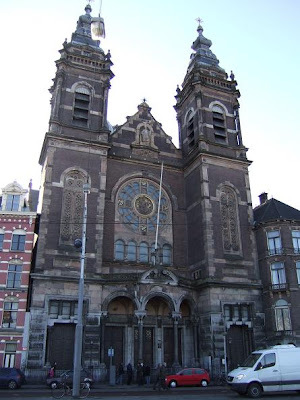 The St. Carolus Borromeus Church is located in the Hendrik Conscienceplein 6, about 5 minutes walking from the Main Market Square. 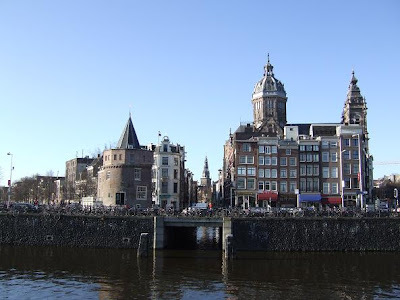 Amsterdam is the capital and largest city of the Netherlands. 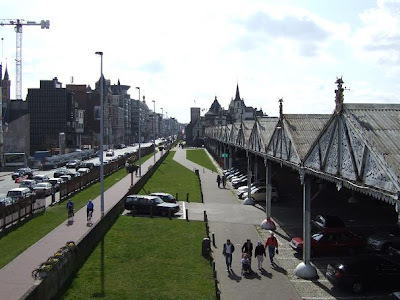 It is located in the province of North Holland in the west of the country. 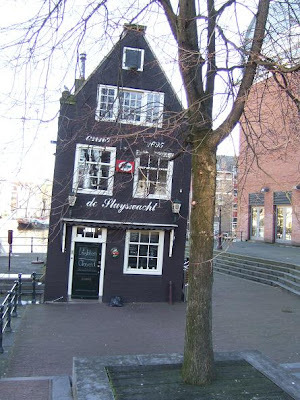 Sluiswacht, a house from 1695 which now houses a bar. 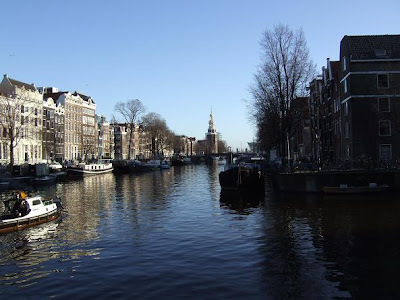 NEMO, located at the Oosterdok in Amsterdam, is the largest science center of the Netherlands. The building was designed by Renzo Piano in the shape of a boat, it opened in 1997. Divided over five floors, it's a great place to learn everything about science and technology. With the motto "forbidden not to touch", NEMO is also a great experience for children. 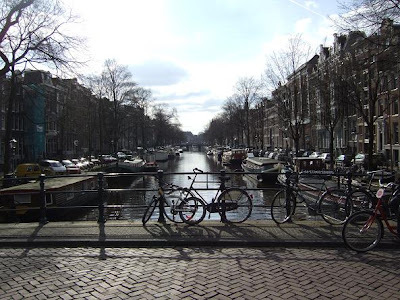 View location in Amsterdam, the Netherlands. The VOC-ship Amsterdam was wrecked in a storm on January 26th, 1749 on the Bulverhythe shore near Hastings. 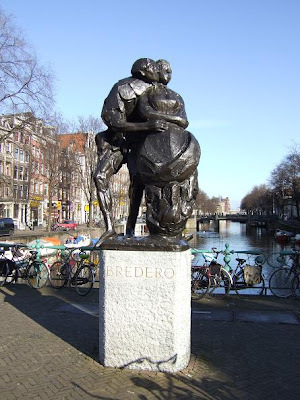 The ship was on its maiden voyage from Texel to Batavia when the rudder broke off, she ran aground and sank into the mud. 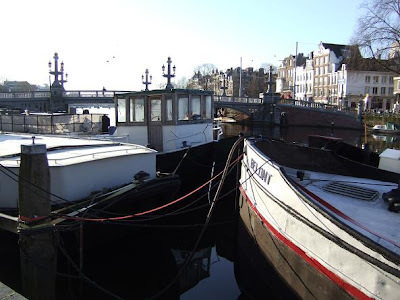 A replica of the ship can be seen today at the Oosterdok in Amsterdam where it's moored and open for visitors. 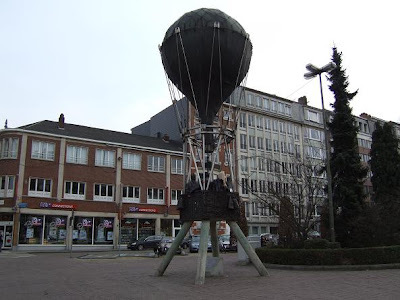 It was built between 1985 and 1990 at Lelystad by 400 volunteers. 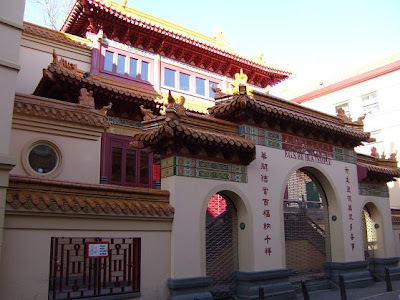 The Buddhist temple Fo Guang Shan He Hua is located in Amsterdam's Chinatown. It is the largest temple in Europe that has been built in traditional Chinese palace-style. 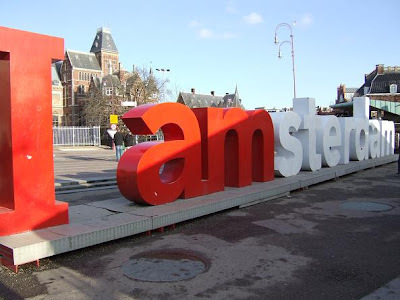 The temple was completed in 2000 and dedicated by Queen Beatrix of the Netherlands. 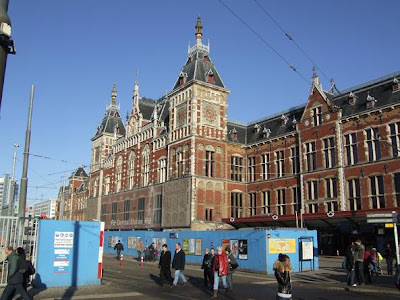 The Van Gogh museum in Amsterdam contains the largest collection of paintings by Vincent van Gogh in the world. 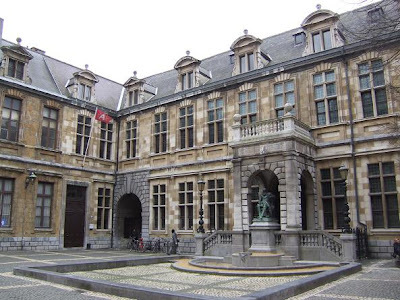 From the 860 paintings that the painter created, the museum owns 200. In addition to the paintings, the collection includes drawings, letters and the artist's own collection of Japanese prints. 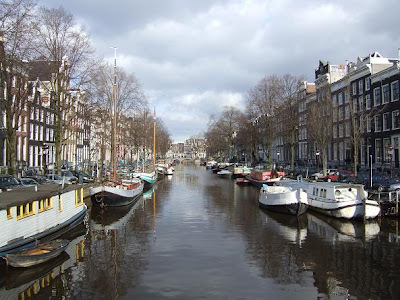 With more than 100 km of canals, Amsterdam is called the "Venice of the North". 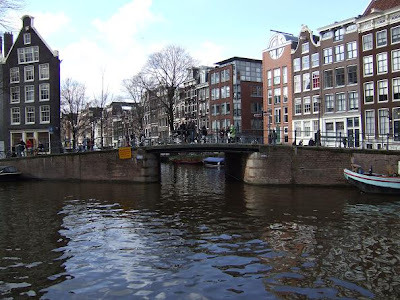 The canals divide the city into 90 islands that are linked by more than 1300 bridges. 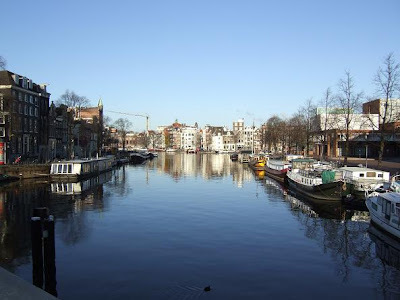 The city has three main canals: Herengracht, Prinsengracht, and Keizersgracht. 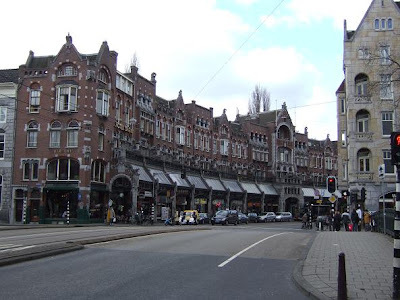 They were dug in the 17th century and form a semi-circular belt around the city center. 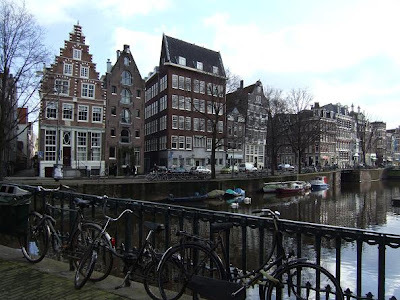 Alongside the canals are more than 1500 historic listed buildings.